Have you checked your post? Phorest has got the best Christmas present waiting for you which will give you an excellent opportunity to flourish in the New Year. We have been thinking of ways to improve the marketing potential of your business relative to your competitors. So don’t stress this December as we have your January bookings covered. Expect a gift card that is exclusive to the month of January for you to send out to your clients. What’s brilliant about this is that it can only be redeemed with another service. Take complete control; you decide the value you will give and you cap the value of what the client has to spend in order to use the voucher. The Result is a busy January, and a sure way to keep your staff busy and your accountant happy in the New Year. This gift card has proven to work wonders if the feedback we have got from clients in previous years is anything to go by. The expiry date on the card creates a push factor so the client will want to redeem it before it expires. The monetary amount outlined emphasises that this card is more of a gift from you than an amount off. You add value to your business. The card looks professional and impressive so we hope your clients associate value with this gift and may give away as a gift themselves. Potentially awarding you with new clients! The card comes in 3 designs and is the size of a credit card – so convenient for the client’s wallet. An idea to exploit the most out of this offer is to send out an SMS letting your clients know of this voucher. Tell them to make an appointment in December to get this voucher in turn enhancing December bookings too. So how do you avail of this great idea? Barry in loyalty will print up cards for you based on the value you want to offer. Once you place the order we do all the hard work creating the card, all you have to do is sell the idea to your clients and reap the rewards. The only stress you will experience is trying to fit in staff breaks around appointments! If you would like to know more – drop me an email barry.quinn@phorest.com. 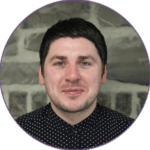 Barry Quinn looks after Loyalty + Gift Card marketing for Phorest.com, a leading salon software provider in the UK and Ireland. Barry Quinn is Chief Revenue Officer at Phorest Salon Software. 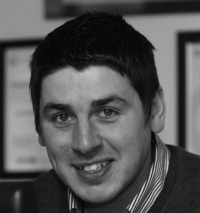 His passion is to help salons reach their potential and grow revenue through retention marketing tools. Specialising in loyalty programmes and offering solutions in apps, online booking, online reputation management, SMS and email marketing, in his time as Loyalty Manager, Phorest Salon Software grew from 80K to 1.5 million (now 3+ million) end users in 5.5 years.